until this summer, i had never seen these before – don’t they look like teey tiny watermelons? during the last couple weeks of august, i kept seeing them out at Balsam Farms in Amagansett. 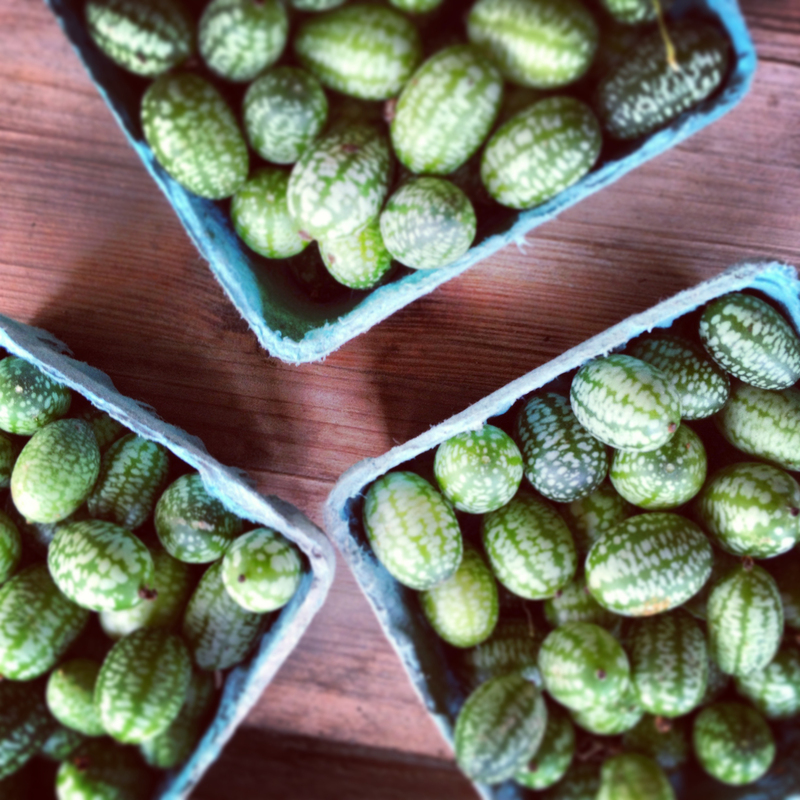 the farm stand had them labeled as “gherkins… or mini sour cucumbers from mexico”. well, when i see the word gherkin, i think of pickles which i hate so i totally ignored these the first time around. the following weekend they were still there and my curiosity got the better of me. as it turns out, they taste just like a super-crunchy cucumber… delicious. i’ve been throwing them in tomato & mozzarella salads and eating them plain. some very quick internet research yielded this: they grow on a vine called melothria scabra, and are sometimes also called mouse melon. isn’t that cute?